One, didn’t he already say this quite clearly. So clear, that it caused many in the media, most gay pundits and even some politicians from the Windy City to loose any semblance of good judgement and start calling Dan Cathy nasty names and attribute to him all manner of ugly character qualities. Is it news that he wasn’t barked off the yard by these bullies? Second, the man says the corporate culture and values of his privately-held company supports biblical values concerning most things they do including their charity, caring for employees, treating customers – all customers – with respect as well as their operating hours. They are famously closed on Sunday. So, given their Christians convictions, they also believe in the biblical ideal of family. This is not a radical belief. Millions upon millions of people around the world and throughout the last two millennia believe this. A small sliver of these folks made their way to Chick-fil-A this summer on “Support Chick-fil-A Day” in truly overwhelming droves from open to close. In many locations local police were needed to direct traffic. And there was no coordination of this effort. It was simply mentioned by Governor Mike Huckabee as a good idea. Word-of-mouth and Facebook posts did the rest. So what’s the news story? It should be this: It is now hate-speech to publicly say you believe and adhere to a Judeo-Christian view of family. This is precisely what we have here, and what the whole Chick-fil-A issue is all about. 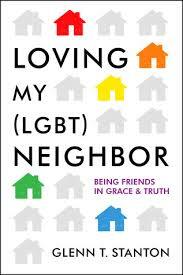 A long, long and nearly universally held belief about family is now “mean” and “hurtful.” You don’t even have to say anything about homosexuality. Talking about kids having a mom and dad as best for them will do it. If you see yourself agreeing with what the folks at Chick-fil-A believe about family – and you showed just how many you are – you should considered yourself tarred and feathered with the same brush that Mr. Cathy was. It will not be long until you experience what he received if you share those views openly. What does Jesus, who this whole Christian thing is about, believe about marriage? He tells us plainly. “A man will leave his father and mother and be united to his wife.” Marriage between man and woman who leave mother and father and become one. That’s what Jesus explained. Of course, Jesus is also saying that those old words of creation in the first chapters of Genesis are not just happy Sunday School stories. They are true, directive and authoritative. We are regularly told that Jesus never spoke against homosexuality. Didn’t he? What would the clear implications of his words be? Homosexual activists are all worked up because they believe Mr. Cathy’s understanding of family excludes them. They take it as a personal attack, if not all our rejection. So what shall we conclude about Jesus’ words? If today’s lazy rhetoric is to be believed, we must conclude that the Prince of Peace is a homophobic, nasty bigot who must be condemned in the strongest possible way. Who wants to step forward and cast that stone?